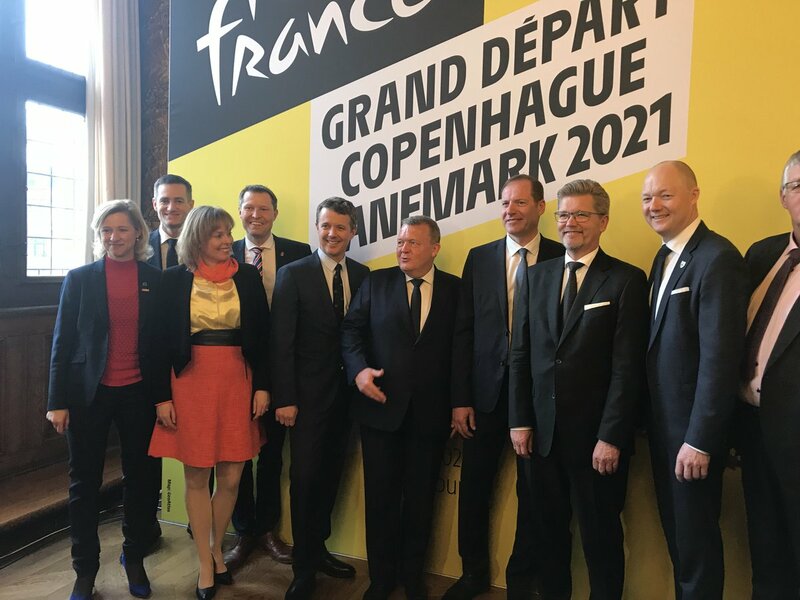 "It touches my French roots, and I expect that the French people will begin to discover that there is something called Denmark, and say 'maybe we should go on vacation, if not before then in 2021 in connection with the Tour de France"
"It is very important that we also attract some southern Europeans to Northern Europe. Many French people, I know, say, "Well, that's cold and wet," and they are partly right in that, but we also have a lot more to offer, among other things in the gastronomy". Nice that he mentioned his French roots and his light humour is great as always.. This is fantastic! I know we had read about his involvement in bringing the Tour to Denmark for years now, great work! "Crown Prince Frederik several times has shown interest in the construction of the veteran home.- A couple of times I have had the opportunity to talk to the Crown Prince about the veteran home and talk about the work we have done for four and a half years in obtaining funding, and what has otherwise been necessary to open. And there I have experienced a great interest both for the case in general and for the construction of the first newly built veteran home in Denmark." Such veterans homes are very much needed. The official opening today, will be followed up by a more low-key opening Friday, where in particular those veterans who can't cope with all the attention, press and PET can attend. These veterans homes are meant as a place to go, if you need to talk with someone who genuinely understand you. And who are willing to listen to you telling the same, often macabre story, again and again. Something your wife will naturally feel reluctant about listening to repeatedly. If you just need to get away for a night or a week, because you have some bad days or things at home begin to stress you out. Here you don't have to explain, the others know why you are there. Some sleep there from time to time, because there is comfort in having "other mates" around you, "securing the perimeter" so that you can sleep better. Other's come when the nightmares are too much and you perhaps feel embarrassed having woken up you family again and again. There are the PTSD sufferers (hard cases) who prefer to sleep here for longer periods, rather than being on their own. And then there are the homeless veterans, some of whom sleep in homemade shelters in the woods for months, they can sleep here during the hardest time of the year, the winter. - No questions asked. One thing that is common to all veterans is the feeling of camaraderie. You spend months with people you relied on and trusted unconditionally 24/7. People you knew would be there for you and who would look out for you. It's very difficult to let go of that sense of security and safety. And many miss that feeling and that's one reason why so many veterans join biker clubs. Or rejoin again and again and again... - I noticed a "mission-bum" among the veterans who posed with Frederik. Some mission-bums sign up for five, six perhaps up to nine tours! But there is only so much the human mind can cope and there is usually a bill waiting at some point. But first and foremost, here you can talk about feelings and experiences you simply cannot tell your wife, no matter how much you trust her and no matter how understanding she is. There are things she should not know and things you won't ask her to understand. Things you would hesitate telling a psychologist about but which you can tell a fellow veteran. The homes are paid for by the Ministry of Defense and they receive other donations as well. "He himself has served as a soldier, so he also knows what it is for a community"
All tickets for Royal Run 2019 have almost been sold but there are still tickets to be had. At present the number of people having signed up have exceeded last years 70.000. In Aarhus, where the Muhler family is going to trot along, there are no places left. In fact the only places left are for the one mile distance in Copenhagen. To put it into perspective, 70.000 participants for the official runs constitute about 1.2 % of the population. 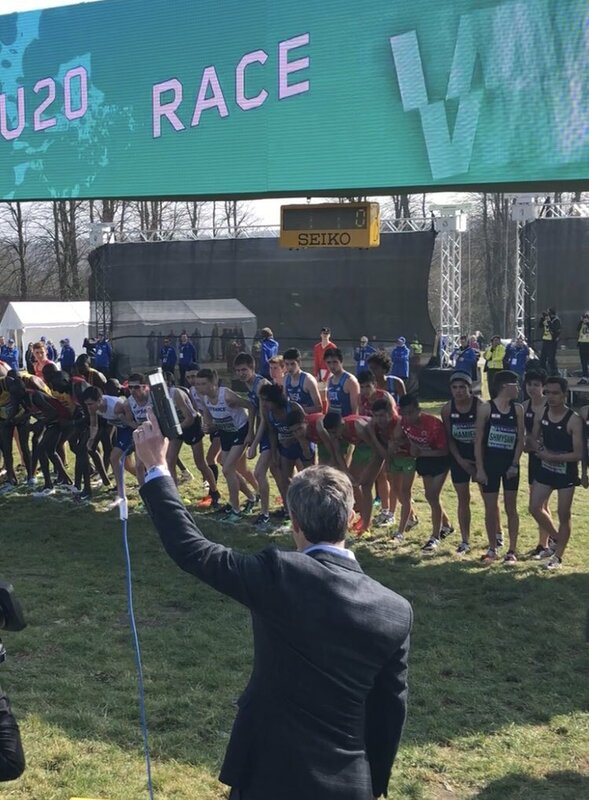 Frederik is going to participate in the cross country run world championships, which will take place in the forest near Marselisborg in Aarhus on 30th March. To be specific he will take part in the 4X2 km relay. - The special thing about the championships this year is the first time ever where everyone can sign up. It's not only for professionals and people who have qualified for something. There is a lot of enthusiasm for running here in DK, so thousands are expected to sign up for whatever distance suits them. I think that's a great idea. It may annoy some of the professionals that there are so many "amateurs" but why should spectators only stand and look on? Unfortunately, Frederik wont be able to run this Saturday as he has a slight injury in his knee. 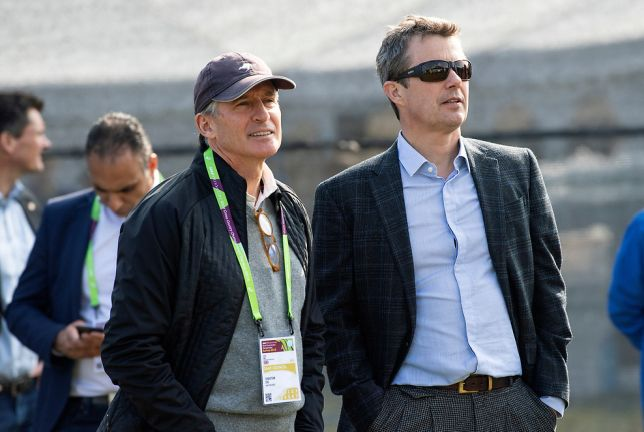 "Crown Prince Frederiks knee is overloaded, and therefore he cannot participate in the race as first planned, but Denmark's coming king will nevertheless throw shine on the arrangement in some other way...the director of Danish Athletics is still enthusiastic about Crown Prince Frederick's participation. »HRH The Crown Prince's role as the starting point for both the greatest talents in the world and for the Exercise Tribunal expresses in the best possible way the whole vision behind the World Cup in Denmark. The men's U20 class contains the absolute biggest runners-up the world has to offer; Practitioners like HRH Crown Prince will probably revisit in the coming years by virtue of their role as an IOC member. And later, he will send the fitness staffs with people of all ages, "says director of Danish Athletics, Jakob Larsen in a press release." But he has turned 50 and that's the "repair-age." Very important to get everyone active. Crown Prince Frederik received today a group of public leaders at Amalienborg.